Calgon, Chik-fi-la, Dean Foods, duPont, Kodak, and Owens Corning are just a few organizations that have benefited from our many years of packaging experience. In October of 2014, Larry Dull received his ninth original patent for developing yet another significant packaging technology. Many of his original patents have become standards in the packaging industry as he continues to be called upon for his unique analytical and creative engineering skillset. 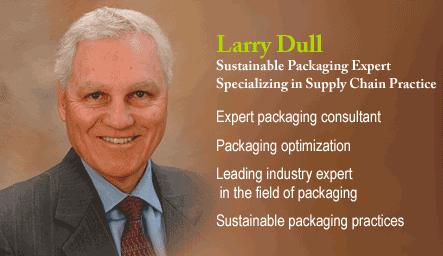 Larry continues to dominate the packaging industry as he is consistently asked to help create and define new sustainable packaging standards such as authoring the newly released ISTA document, Responsible Packaging by Design, which he also teaches.Well-known and respected by his peers in the packaging as well as the supply chain industry, Larry is the packaging professional who is called upon by his packaging professional colleagues when they’re at a loss for solving a packaging delimma.